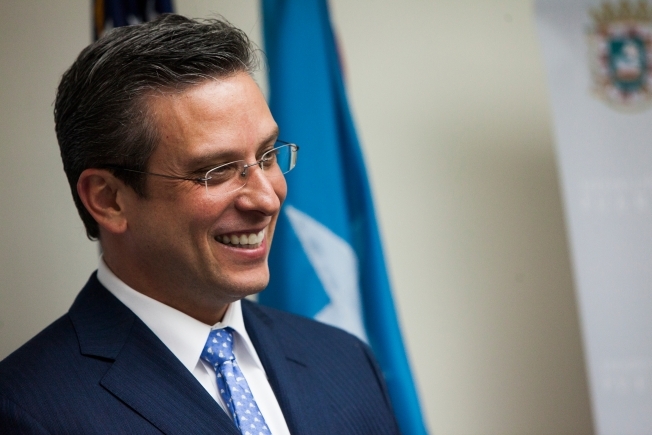 Puerto Rico Governor Alejandro Garcia Padilla stressed that the island could not keep providing essential services if asked to pay back their debt. A new federal control board overseeing Puerto Rico's finances amid a dire economic crisis voted on Friday to expand its powers and require indebted public agencies to be more accountable as members grilled the island's governor for the first time about the U.S. territory's economy. The board said no Puerto Rico government agency can proceed with any non-routine transaction without its permission, such as issuing debt. It also demanded that six public agencies including the Government Development Bank, the island's largest public university and its utility companies submit their own fiscal plans for the first time. The measures drew ire from protesters who interrupted the Friday meeting in New York with yells of "Shame on you!" and "Long live a free Puerto Rico!" The gathering was streamed online. The federal control board was created in late June after U.S. President Barack Obama signed a rescue package that in part aims to restructure some of the island's nearly $70 billion public debt and temporarily protect it from creditor lawsuits seeking to recover millions of dollars invested in local government bonds. Those creditors have since sued to recover their money and a judge is mulling over the case. Puerto Rico's governor on Friday urged the board to intervene in the case, stressing that the island could not keep providing essential services if it has to pay its debt. The board said it will express its position on the issue next week. During the nearly three-hour meeting, Gov. Alejandro Garcia Padilla presented a 10-year fiscal plan and urged the seven board members not to take more austerity measures. "I have faced relentless pressures to fire workers, reduce pensions and pay full amounts owed to bondholders. You will, too," he said. "I withstood that pressure and now encourage you to do the same." Garcia does not get to vote on any of the board's measures, and it is unclear what other steps it might take later. After Garcia's presentation, he and other Puerto Rico government officials were grilled about the island's finances. In a response to one question, Treasury Secretary Juan Zaragoza said Puerto Rico's central government owes up to $350 million to suppliers and vendors while public agencies owe some $1 million. The governor warned that if nothing changes on the island, it will face a cumulative deficit of $34 billion in the next decade. The next meeting is set for November, after the board has reviewed Garcia's fiscal plan. "I'm sure we'll have loads and loads of follow-up questions," said board member Ana Matosantos.